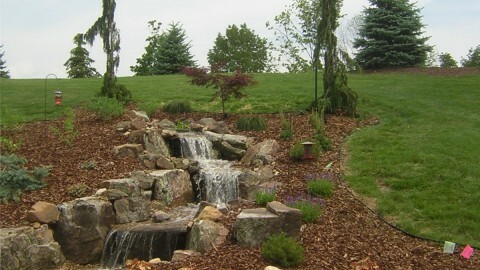 This portfolio shows a diverse collection of gardens that we have designed, planted, and maintained over the years. 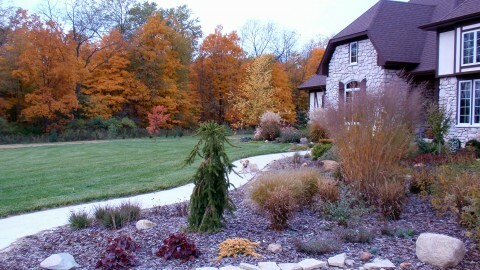 We have years of experience working from Warsaw to Columbia City to Fort Wayne with different soil types. 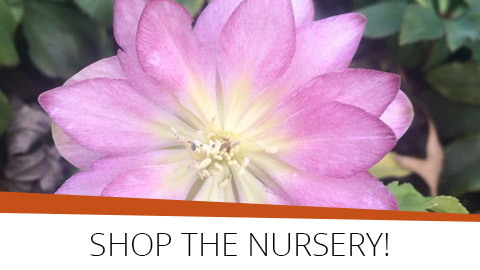 We can help you select the best plants for your area. 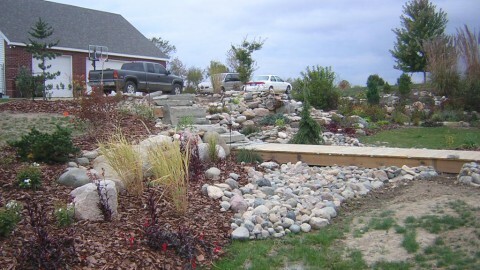 Please contact Shawn at 260.414.6213 or use the contact page if you would like to find out more about landscape design and installation services. 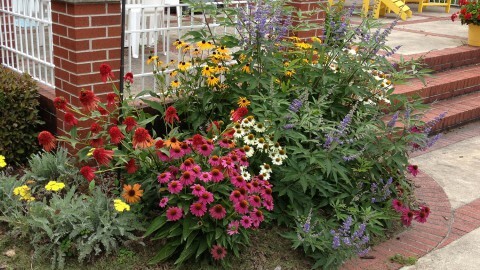 Joan’s garden was a master assemblage of specimen plants , flowering shrubs, perennials and some annuals. 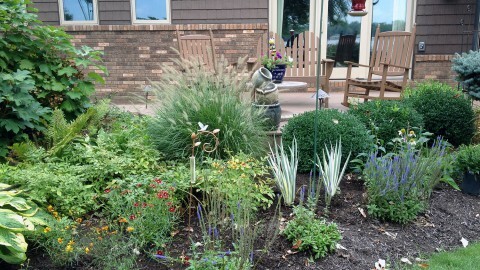 The criteria for the plants in her gardens is that they would be beautiful, yet often have a biblical reference. Ladonna’s garden ties in with and compliments the red brick and white trim of her house. Cary was a former stone mason who designed a series of waterfalls, small ponds, and walls using indigenous stone. The staff at Blue River Nursery selected all the plants and designed the plan that compliments the hardscape developed by Cary and Tami. 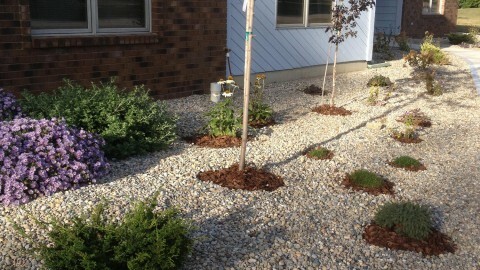 Cary and Tami did all their planting and installed their drip irrigation system. 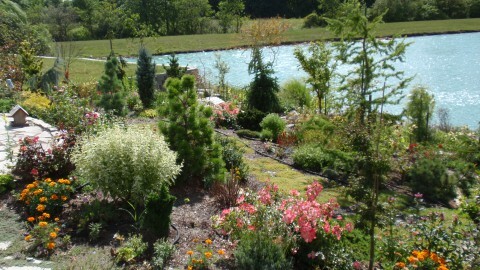 Diana’s garden surrounds her koi pond and provides some privacy in her villa community. 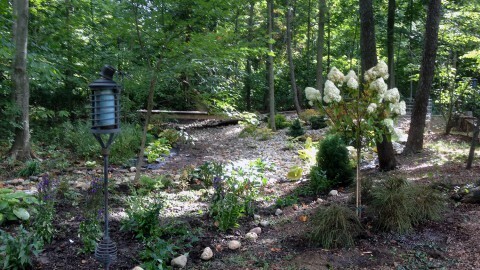 Janet and Todd wanted a garden near a natural stream behind their house. Jim and Dotty had a pondless waterfall installed and wanted some dramatic plants to compliment it. This garden includes many plants that are not usually found in traditional English Gardens. However, this plant selection does conform to the “free spirit” of the philosophy of a formal English Garden. 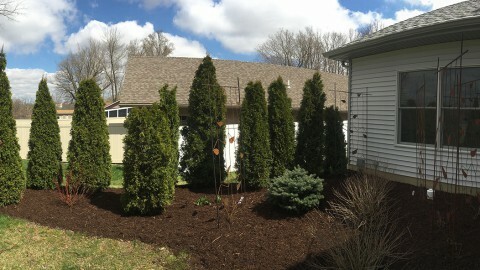 Our professional crew removed the overgrown previous landscape and installed a new design with weed fabric underneath the pea gravel. 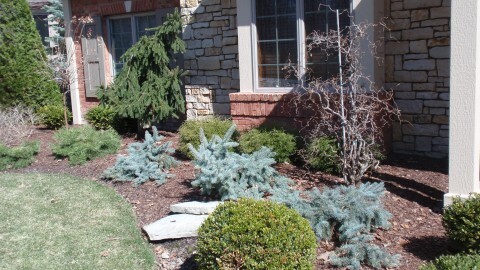 Specimen plants were used to to punctuate this landscape. 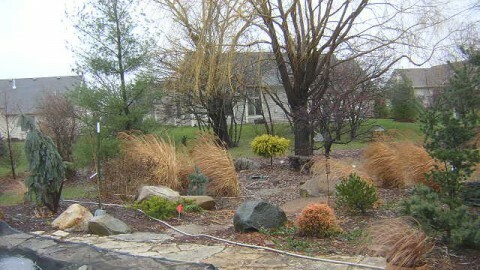 Interesting textured plants, like Whipcords, were planted as thoughtful filler.